Habit: Tillandsia balbisiana grows without discernible stems. 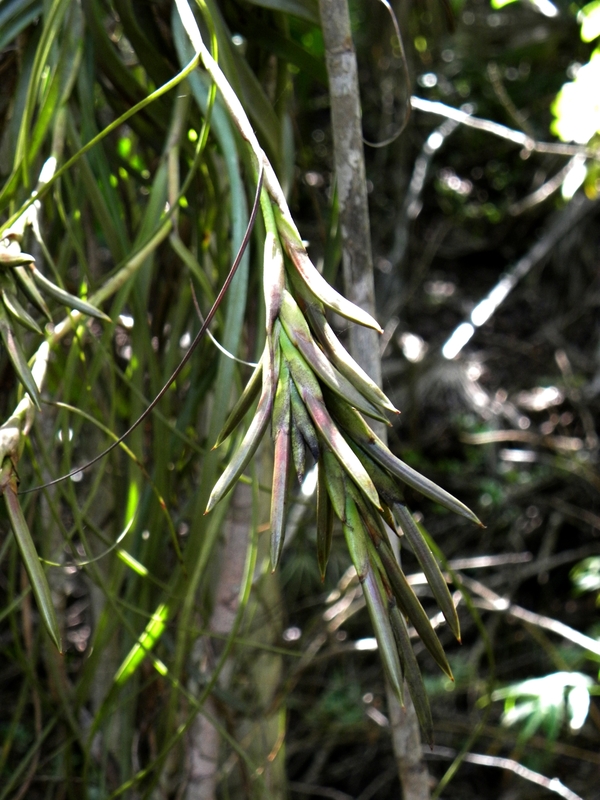 The leaves are strongly recurved, covered with dense, appressed lepidote hairs, with an entire margin, an acuminate leaf apex, to 40 cm in length, and are often longer than the inflorescence length. The inflated leaf bases form a bulging rosette/pseudobulb to 14 cm in length. The actinomorphic flowers are arranged in a spike, each subtended by a bract. The bracts are ovate with an acute or apiculate apex. There are 3 green unfused sepals in the calyx. There are 3 purple petals in the corolla. There are 6 stamens that are longer than the petals. The ovary is superior with 3 locules and numerous seeds. Both stamens and style are exerted from the flower. The fruit is a capsule. Each seed has a tuft of hair to assist in dispersal. T. balbisiana grows in clumps or 2 - 10 pseudobulbs. 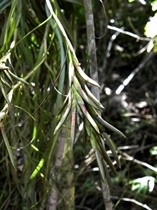 Habitat: Tillandsia balbisiana grows on shrubs and trees in Dry Broadleaf Evergreen Formations. Distribution in Bahamas/Globally: Tillandsia balbisiana occurs on all island groups within the Bahamian Archipelago as well as Florida, the entire Caribbean region and Mexico south to northern South America. Medicinal/Cultural/Economic usage: Tillandsia balbisiana has no known medicinal use in the Bahamas.